After a day of sunning and strolling along the beach, guests of *Americano Beach Resort* can cool off in an Olympic-sized pool. A kiddie pool, a whirlpool spa, and a health and fitness center which houses an indoor lap pool, sauna, aerobics area, weight room, and game room are on-site. A pool bar and coffee shop are also options. The Daytona International Speedway, Daytona USA (Nascar's #1 attraction), and dozens of golf courses, including MLPGA, are located nearby. 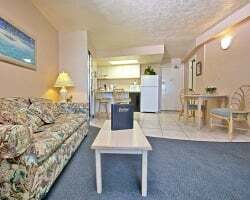 Perfect location for your Daytona Beach vacations! Week 14! Just steps from the ocean! Inquire today! Fantastic summer week vacations can be yours! Perfect for soaking up the surf and sun! Inquire today! Annual spring breaks in delightful Daytona! Buyer may receive a title fee credit, inquire for details! Go play on Daytona Beach! Yearly floating week! Make your offer today! 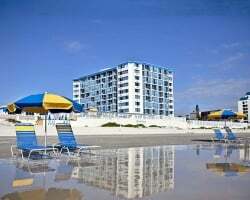 Fantastic beachfront resort on exciting Daytona Beach! Yearly floating week! Make your offer today! JUST REDUCED ! Visit Florida and choose the week you want each year! Buyer may receive a title fee credit, inquire for details! Just Reduced! Annual August week in delightful Daytona! Owner has 3 other ads buy all 4 for $10,000! 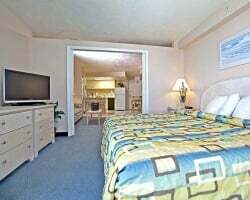 Enjoy the large onsite pool or walk just steps away to the beach! Buyer May Receive A Title Fee Credit, Inquire For Details! Resort has many onsite amenities! Buyer May Receive A Title Fee Credit, Inquire For Details! Annual floating, red season week! Buyer May Receive A Title Fee Credit, Inquire For Details! Come to Florida during week 22! Plenty of activities available onsite! Buyer May Receive A Title Fee Credit, Inquire For Details! Enjoy relaxing at the large onsite oceanfront pool! Buyer May Receive A Title Fee Credit, Inquire For Details! Explore Florida during week 43! Buyer May Receive A Title Fee Credit, Inquire For Details! This week is around Bike Week in Daytona Beach! Enjoy onsite dining, golf courses & more! Buyer May Receive A Title Fee Credit, Inquire For Details! This week is around Bike Week in Daytona Beach! Enjoy being on vacation to start your year! Buyer May Receive A Title Fee Credit, Inquire For Details! Enjoy relaxing on the oceanfront pool deck! Get to pick your week! Buyer May Receive A Title Fee Credit, Inquire For Details! Floating week of your choice every year at this outstanding Daytona Beach, Florida resort! Buyer may receive a title fee credit, inquire for details! Located right on the sand of Daytona Beach! Easy access to all of the local attractions! Buyer may receive a title fee credit, inquire for details! Central location with easy access to endless possibilities! Buyer May Receive A Title Fee Credit, Inquire For Details! Central location near all the action and entertainment! Buyer May Receive A Title Fee Credit, Inquire For Details! Floating red season week (2-49) at this lovely Daytona Beach resort! Buyer may receive a title fee credit, inquire for details! 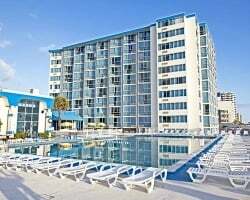 Floating week of your choice at this outstanding Daytona Beach resort! Buyer may receive a title fee credit, inquire for details! Enjoy Speed Week during February! Various onsite activities for all ages! Come explore Florida during week 6 every year! Sale includes 2 banked weeks plus 26,820 banked RCI points! Buyer may receive a title fee credit, inquire for details!